Some things age like fine wine and in the cinematic world the â€˜Mission: Impossibleâ€™ franchise is a great example of the adage. Perhaps it has to do with the 56-year-old Tom Cruise who defies age and pushes his physical boundaries for our viewing pleasure? The answer is quite evident in â€˜Falloutâ€™ as his Ethan Hunt is as good as a caped superhero in the sixth film of the series. The story isn't all that new with its twists and turns. But â€˜Falloutâ€™ manages to build on the previous films in the series by bringing back old friends and foes, besides adding some new ones. Henry Cavill as August Walker fits right into this universe as the hammer to the scalpel that is Ethan Hunt. His presence is looming enough to fill the entire screen whenever he appears. Simon Pegg takes on the status of a series regular alongside Ving Rhames, whose Benji and Luther respectively play more than just mere sidekicks as they add comic levity and heart. Alec Baldwin and Angela Bassett also make a mark in their brief appearances but watch out for impactful turns by Rebecca Ferguson and Michelle Monaghan along the way. Writer & Director Christopher McQuarrie allows each character to shine while building on their history with each other, thus making them endearing to the audience. This only serves to up the ante when theyâ€™re in danger. McQuarrie also lets the story breathe by bringing some calm before the storm hits. Which leads to the most crucial aspect of the series, and one that McQuarrie clearly excels at in this film â€“ the action sequences. Not only are they meticulously planned; they are executed with precision, even when the fist fights are gritty and gruesome. Rob Hardy beautifully choreographs the camerawork following these intricate set-pieces, either allowing you to take in the expanse or bringing you up close and personal when required. This is paired with a soundtrack by Lorne Balfe that lends to the tension by giving the iconic â€˜Mission Impossibleâ€™ theme a sinister sense of urgency. McQuarrie has now directed two â€˜Mission: Impossibleâ€™ films; his understanding of the franchise and its characters proves to be the secret weapon of the series. The fact that the stunts are largely done with practical effects featuring the cast, and most prominently Cruise himself, sets a whole new standard for action films. 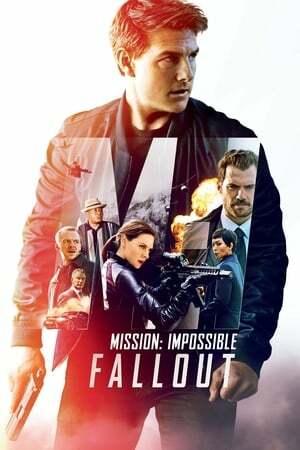 â€˜Mission: Impossible â€“ Falloutâ€™ is a great mix of plot, pacing and performances that is undeniably the best entry in the franchise, while it re-establishes Cruiseâ€™s status as an action superstar.